One of my favorite stores when we lived in the Atlanta area was Kroger. I could always find great prices on sale items and great discounts on gluten free and organic foods. Starting Sunday Kroger has a great new holiday promotion: Nov. 20-Dec. 11, 2011 Kroger will offer quadruple fuel rewards points on most gift cards sold at its in-store kiosk. The rewards points can be redeemed for discounts of up to $0.10 on fuel at Shell stations and $1.00 at Kroger fuel centers. The more points you accrue, the greater the fuel rewards. For example, for every purchase of $50 in gift cards from Kroger’s Gift Card Mall, customers will receive 200 fuel points. Those 200 points can be redeemed for $0.10 off per gallon at two different fill-ups at your local Shell station or $0.20 off per gallon at your local Kroger fuel center. 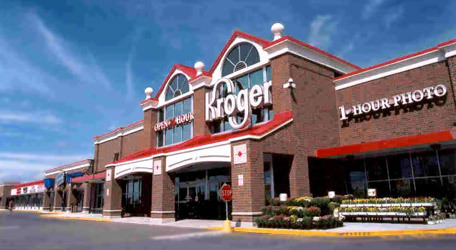 As a part of this great promotion Kroger is giving away a $25 Gift Card to one of my readers! Simply leave a comment on this post saying how you would use the gift card and you will be entered to win. You can enter a second time by sharing the give away on your Facebook page or Blog and leaving a comment saying that you have done so. The winner will be chosen from the comments on this post only. Contest ends midnight EST November 20th,2011. Winner will be chosen randomly using “And The Winner Is” and will be announced Monday, November 21st. Gift card will be mailed directly from Kroger. Don’t forget about the Cash for Christmas Give Away ending this Thursday! Note: Kroger graciously offered me a $25 Gift Card in exchange for this post. All opinions are 100% mine. Previous Post: « Reminder: Military Appreciation Monday at Golden Corral Today! I’d use it to purchase food to take to the shelter for those in need! I do most all my gluten free shopping at Kroger. GF life costs bit more than regular diet. My son eats gluten free and I would love to stock up on Pamela’s! We love Kroger in my house – it’s the only place we get gas and it’s the place we buy a majority of our groceries. We would really appreciate the gift card! Posted on fb- Thanks again! to feed my family organic- thank you!! I will also share on my fb page. I would use it to buy gluten free food! I would use this towards our household grocery budget to help with our usual Kroger purchases. Thanks for the chance to win! I would give it to my husband for gas because he drives an hour to work every day. Happy Holidays! Thanks Peaceful Mom and Kroger! I would love a $25 gift card to Kroger! I would use it to buy the wonderful ingredients for all the holiday baking and cooking I will be doing!! I would buy the essentials for sure–meat, eggs, milk, pasta, and make cold-weather foods like chili and home-made soups, things that can be eaten then offer leftovers for days, or can be frozen and used in the future. We really have to stretch our dollar now that my income is gone. I would buy Merry-Okee. My children love the holiday displays. I would splurg and let them buy a Hallmark Merry-Okee along with a tree decoration. Would love to have it to help feed my family of 5. Thanks Kroger. I would use the $25 gift card for groceries. Our 2 yr old daughter has been very ill & in the hospital my husband hasn’t been able to work because he has been @ the hospital with us. I would use the gift card for either gas or food for my kiddos! I would use it for Holiday Baking! I do quite a bit of baking during the holidays and this would help stock up my supplies! I would use the gift card towards purchasing items for Christmas dinner. I love Kroger! I would use this to buy some groceries to make yummy homemade Christmas gifts! Food to feed my 3 daughters. I use coupons which really helps spread any $ I have to spend on groceries, but still doesn’t go very far. Feeding my 5 kiddos would have to be my answer. It’s a never ending job and we do most of our shopping at Kroger. I do all my shopping at Kroger. I would use the gift card to buy groceries for my granddaughter and her parents when they come to visit. I would use this card to help buy supplies for my girl scout troop’s bake sale that will benefit a local homeless shelter. I would use the $25 to stock my new apartment. I hope to move in in a week. I wish we could use the fuel points in Alabama. I love Kroger’s mega sales. I would use the gift card get some extra meat and stuff to make chocolate covered pretzels, The pretzels are great Christmas gifts. Would lovvvvvvve to win! I love Kroger and do all my shopping there! I’d use the money to buy the stuff to make my cookies for the cookie swap at my friends house coming up! I would use it for diapers! Times are very tight around here. I’d use it to stock up on meat and poultry. It’d be a blessing to have right about now. We love Kroger! I would use it to buy produce or items in their natural foods section. I would use it to lower our regular grocery bill but I might splurge and buy something that is more of a treat for us! I’d give it to my sister as a thank-you for hosting our family of 4 at their house for a week vacation. We are about to hit US soil in one week. We live in Malaysia and are coming home for Christmas! I would use this gift card to buy all the special treats that we miss so much – pretzels, all kinds of cheese, cereal, ham, a tube of buttermilk biscuits, pop tarts, reeses cups and holiday flavored creamer. Or at least it would buy a few of those things. I have enjoyed shopping at Kroger for the past year. They have the best mark down deals I’ve seen. A gift card would awesome. Kroger is my go-to grocery store, so the gift card would always come in handy to cut down on the cost of groceries around holiday time when the budget needs to be s-t-r-e-t-c-h-e-d. I would love to have it to buy some special treats for Christmas and to donate to our foodbank. I love Kroger and would use the gift card for my holiday meal! Ahhh, Kroger indeed has some amazing sales – we would use gift card to snag varieties of snacks for our grandson! Thanks for the chance. I would use the card to buy groceries for my family of four. Our nearest Kroger is 25 minutes away – but I make special trips to go when there are really good deals. I would give the card to a single mom I know that is always struggling to make ends meet. Every little bit would help her. I shop my Kroger store 2 to 3 times a week and the gift card will be very useful. Hi. 3 out of 6 of us are gluten free in our home. I would use this to buy gluten free flour and items needed to bake some Christmas cookies to bake with the kids! I would use this gift card to buy food for my growing boys, boy can they eat!!!! I would use the gift card to help out with my groceries! I shop at Kroger and really like their natural/organic section. I would use it to buy a gift card for a Christmas gift! I shared it on my page on facebook! I would use the card to help pay for my husband’s birthday meal. This would be great to use to feed my family a fantastic Christmas dinner. I would put it towards a steak and shrimp dinner for hubby & I! I would use it buy all my Holiday baking supplies. I would use it to buy groceries for the holidays. I love Kroger. I would use this to really stock up on items that I can’t often. Our budget is very tight and this would help my family out tremendously. Gift card would be to gift my family with food! Times are tough all aorund I know! I shared on Facebook! Please enter me again! Thank you! I would use it to buy our Christmas dinner forour family! Milk!!! My kiddos go through milk sooooooo fast!! I would buy for our holiday dinner. We are a family of 7 so every little bit helps. I’d buy food for our holiday party. I would use it to buy organic fruits and vegetables at my local Kroger. Love being able to feed my family healthy food! I would love to use the card by buying ingredients for a meal for someone in need. sharing this post on FB for all my atlanta friends to see and enter to win too! we don’t live in an area that has kroger…but i would send the giftcard to a family member to stock up on Annie’s organic mac and cheese when they have their mega events….LOVE kroger!!! I would use it for either groceries to help feed my children. Times are really tight right now so it would be greatly appreciated. I shared on my Facebook. I would use this gift card to buy groceries for my family. I would use it for Christmas gifts–I am trying to spend very little out of pocket for Christmas this year by using Swagbucks and other rewards. This would be a gift for our aunt and uncle since we do not have Krogers in our state. I would use it for some meats! I would love to be able to buy some steaks! I would use the gift card to stock up on meat! I would use the gift card to help pay for holiday meals! I do almost all of my grocery shopping at Kroger. It’s so close to our house that my husband and I ride our bikes there and load our groceries into our bike trailer. 🙂 Needless to say, I’d love to win! I would probably pray about it and see what the Lord would have me to do…………. I’ll stock up on ingredients for Thanksgiving dinner. I would use it to stock up on essentials for my family. It may sound selfish, but we are struggling due to a disability and job loss and we need it ourselves. This would make our Thanksgiving meal a lot better! I would use it to buy groceries to donate to our school district’s Sharing Closet. It helps families in the district who are in need. I would use it to get some meat and paper products! I would use the gift card to buy groceries to donate to our school district’s Sharing Closet. It helps families in need of students at our schools. 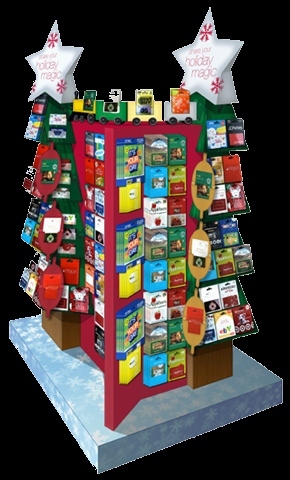 I would purchse a gift card – then give the gift card to one of the Hospice families that we adopt for the holidays. Double win! I would gain the points for my fuel and the family would have $25 gift card for their holidays!! I would use this on fruits and veggies that my kids love! I would use it for birthday party supplies. My son’s birthday is coming up soon. I would use it to buy meat and produce! I would use the giftcard on Kroger’s awesome organic section. I would use it for groceries- pretty boring, I know, but it would save us money! Thanks! I would use it to stock up on organic soymilk for my family! I would buy food for the holidays! I would use it for some organic products. I would use it for holiday baking supplies! I would use the card to buy all the trimmings for our Christmas meal! I would use the card to help with the cost of having my husbands entire family over for thanksgiving!! What was I thinking?? Thanks for offering us a chance to win this gift card! I would use the card for our weekly groceries. I love Kroger’s $5 off 10 item deals! It would be great to stock up on meat…chicken and beef. 🙂 Thanks for hosting this giveaway! We have 3 little ones that are gluten free. I would use it to stock up on Cinnamon Chex. This is their favorite cereal. We go through a lot. thanks! I would it to help pay for my Thanksgiving dinner. It would help alot! Shared link on my wall. I would buy baking supplies for Christmas treats! I would use it for groceries for our family. would use it for Christmas groceries. This is the only time of year we do much baking and my food bill really goes up. I’d like to stock up on Cheerios and Yoplait Yogurt. I would like to use it to donate thanksgiving or Christmas dinners to the local food bank. I do this every year but with money tighter I don’t think I can get as many family meals as I normally donate. I would like to donate just as many or more. I’d use the gift card to stock up on peanut butter before prices go through the roof. I would use the $25 to feed the never ending bottomless stomachs of my four children. I would use it to stock up on supplies for the holidays. I would love to get a Kroger’s gift card to do some holiday grocery shopping for my family!!! Also shared this on my blog: busybudget.wordpress.com. I would use it to stock up on Christmas cookie supplies! I would use the extra dollars on those items needed for this time of year for baking, etc. I love Kroger! (well, Smith’s is the local store). I would definitely be using this to purchase Thanksgiving & Christmas cooking goodies! I would buy a Chilis gift card. I’d use it to cut down on our food bill. We spend lots of money on food for our family of 9!! I like shopping at Kroger. I would use it to buy groceries. Thanks for the giveaway! I would use it to buy the extra supplies needed to make food. We give alot of food related items away & an extra $25 would be great help!!!!!!!!! I would use it for baby stuff! Our first baby is due Dec. 8! Thank you for posting this give away. I will use it for groseries for our family of 11. Sorry to be boring, but I’d used it toward my normal groceries! I only go to Kroger b/c they double all their coupons(up to 60 cents) everyday. And living in the deep South, there aren’t many other options! I would love to use the gift card to stock up on groceries for my family of seven who eats a ton! I would use it for Thanksgiving dinner! Definitely for Christmas baking supplies – those can add up fast! I would use the giftcard for our Christmas meal. As a miltary family this is the first Thanksgiving we will be spending away from home and family. I would use the money to make a few more “home” dishes we would miss out on by not being there. I would use it buy all my baking supplies for the holidays! I would use it to buy a Christmas ham! My family would be thrilled. Thank you. I would use the money to make a great thanksgiving dinner for my family. We are having a rought time now my husband was layed off and no pay check for over 3 weeks so anything that can help a family of 6. . I would use the gift card to buy my boyfriend and I food to eat for the week. We both work full time and attend school. Sometimes we have to decide on if we need gas to make it to work and class this week or if we need to eat. We don’t even have any back up food just incase we lose power this winter. We could really use this blessing. I would love to win the gift card! I would use it for cookie supplies for my kids and I to use for the holidays! They love helping me with yummy goodies in the kitchen and it is so great to spend time with them and see them smiling! I love it! This gift card would be used to buy canned green beans and canned corn, which our local food pantry always runs out of. Would love to win! I would use it for a weeks worth of groceries! I would use it to help with the Holiday meals! I would use this to buy our holiday meal!! I love Kroger or King soopers as we know it:) I would use the gift card to buy things for baking! Can’t wait to bake for Christmas! I would use it to stock up on baking supplies for the holidays. I really need to purchase some nonperishable foods (dry milk, soups, etc.) for the winter. We often lose power during winter storms and sometimes the rural roads may not be fit for drivings for days. Feeding the family can become quite an interesting adventure! shared on FB – thank you! I would use the $$ to buy the ingredients for the casseroles I make as gifts for our church staff and their families to take home to have a meal ready to go during the busy holiday season. I would give this card to a friend. 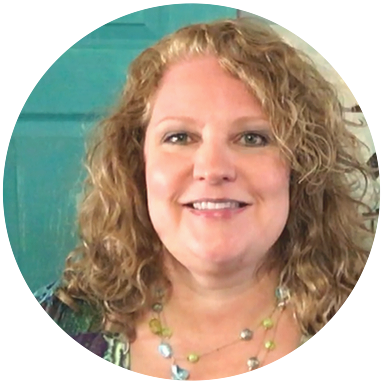 They have been struggling financially since her husband was diagnosed with Stage IV brain cancer. She could use it for groceries or for something special for a treat. I would use the money to have a happy thanksgiving for my family. We are in a rough patch and this gift card will do so much for me. Thank you for reading. I would buy some needed groceries and splurge on some items for fun! I would use the coupon to purchase supplies for our not-for-profit theatre’s concession stand. The profits are used for scholarships for classes for children. I would give the gift card to my daughter, a full time college student to help with her weekly groceries! I would go to Kroeger and stock up on their Carb Master Yogurt…AWESOME, their Turkeyhill Blueberry Lite Ice Tea, Their Ice Cream and Their Cottage Cheese! All Things I Can’t buy anywhere else! No Comparison! I would use a Kroger gift card for items from their wide selection of allergy-free foods (at least in the Louisville area!) It’s the store we use the most! I would use it for Christmas goodies!! I love to cook and bake and it would be nice to have an extra $25 to spend on fun things instead of our normal meals!